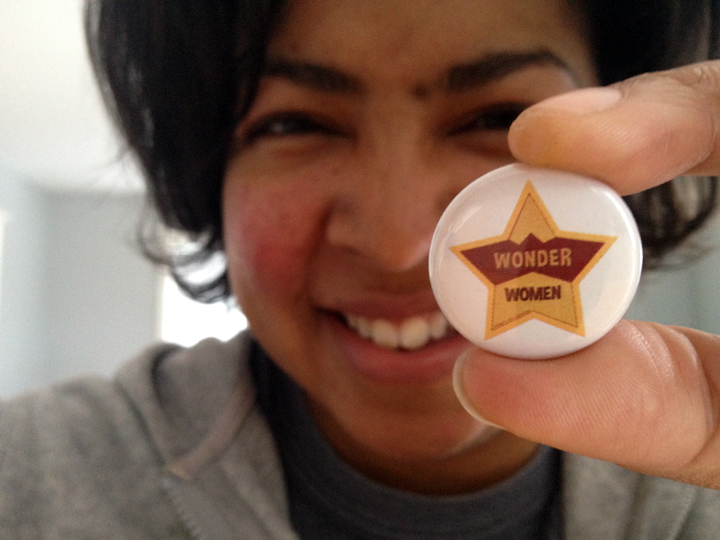 I wanted to express my thoughts about Wonder Women VI, while I’m still warm with the energy that rose from the stage of talented artists ranging from singer songwriters, to spoken word, to visual artists, to stand up comedians. It felt like the intensity grew as the evening progressed and emotional waves washed over us with every new performance, audience and artists knit together, lifted each other up and roared with empowerment. This day, International Women’s Day we celebrated our differences and common ground, this day we celebrated our strengths and our weaknesses, this day we embraced each other as mothers, daughters, friends, lovers, and independent artists. It was an incredible culmination of strength, conviction and love, and I was honoured to participate and bear witness. A mountain of gratitude must be erected for the awe-inspiring commitment and enthusiasm of Arlene Paculan and Kat Leonard towards a week of successful concerts and free workshops, and the grand finale that was International Women’s Day and the Wonder Women Concert to spread empowerment through art! Check out the full gamut of awesome performers that made this event a huge success! Posted in Blog, Community, Creativity, Inspiration, music, Self Expression, Shows and tagged as arts, community, creativity, empowerment, entertainment, inspiration, wonder women, WonderFest. Can’t wait for the next Wonder Women event!